Irish travel often fits into three categories: pub crawls, romantic vacations, or bus tours filled with “well seasoned” travelers. What you don’t often see are families venturing through Ireland’s countryside to explore ancient castles, search for faerie raths, and dance to traditional music. It’s truly unfortunate that more parents don’t visit Ireland with kids. The country is as well known for its friendliness as it is for being green. Children are welcomed and catered to in a way I have yet to experience anywhere else. Ireland encourages imagination and blends it with history to weave an enchanting realm filled with magic and exploration. Here we are outside Ross Castle outside Killarney. Although you can get to the castle by car we hired a jaunting cart to take us from Killarney to the castle and back. When you travel anywhere with kids it is best to have your own schedule. Many travel agents will recommend a tour- complete with a driver, a non-flexible itinerary and limited free time. In Ireland you drive on the “wrong side” of the road, sit on the “wrong side” of the car, and shift with your left hand. It’s not as difficult as it sounds and you’ll enjoy your trip more if you have control over where you go, what you see and when you do it. Car Tips: Most cars in Ireland are manual transmission. While you can rent an automatic transmission car, it will cost you quite a bit more. Also, rent the smallest vehicle you can comfortably squeeze your family into. Fuel is sold by the liter and costs about three to four times as much as in the United States. Ireland is known for her hospitality and is full of bed and breakfasts. A B&B provides personalized service and gives you a chance to talk to your hosts. They can give you tips on where to visit, what to avoid, and the best restaurants in the area. Your hosts are an invaluable resource; besides, I’ve yet to meet anyone who didn’t love to hear the lyrical Irish brogue. B&B Tips: Do your research. I like use the Definitive Irish Bed and Breakfast Guide, Irish Farmhouse Holidays, and The Hidden Ireland to find accommodations. Then I follow up with emails or phone calls to answer any questions. Often booking direct with the B&B will save you more money than booking with a company and using vouchers. Pub is short for public house or a place for the public to gather for food, music and craic (pronounced “crack” it loosely translates to fun and enjoyment). Early in the evening you’ll find many families here, though their numbers drop as the kids need to get to bed. Many pubs will often have live music; either a band or an impromptu session (a gathering of local musicians). It’s a great way to feel like part of the community. Pub Tips: Ask your hosts which pubs are most child-friendly and if any have live music. Don’t expect to be waited on; wander up to the bar to place your orders and chat with the locals. This probably goes without saying. Ireland is dotted with castles, abbeys, and walled towns – many of which are restored to their former splendor and waiting for your knights or princesses to explore. A few even double as hotels. Take your time exploring and let imaginations run wild. Castle Tips: Dromoland Castle, 15 minutes from Shannon airport, pampers children with games, robes, and golf carts for exploring the estate. Also near Shannon is Bunratty Castle and Folk Park. Here you can explore the village, have fun at the play area, enjoy Irish Night, or experience a Medieval Banquet. If the Irish waited for it to stop raining, nothing would ever get done! Just come prepared for any weather and remember it will likely blow over quickly. And if it doesn’t… well, go back to tip #3 because if it’s too wet to be outside you’ll likely find much of the village “down the pub.” Join in! Rain Tips: An Aran sweater is the best Irish souvenir you can buy. It will not only keep you warm but also it will keep you dry. Don’t forget an umbrella. 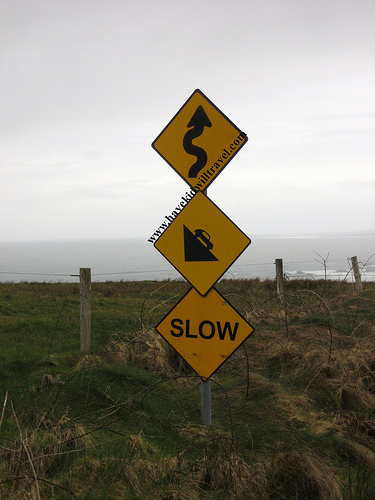 Ireland is a magical place that can’t be described with mere words but must be experienced. A word of caution, though…one trip won’t be enough! Do you have a favorite tip or family-friendly destination in Ireland? Let us know in the comments! Jody Halsted began sharing her tips for family travel in 2005 after being told numerous times, “Now that you have a baby you’ll have to stop traveling so much.” She has since proved her family and friends wrong! Jody is always on the go with her husband (Doug) and two daughters. Near or far, every destination is an adventure to be savored and shared on her website, Family Rambling. 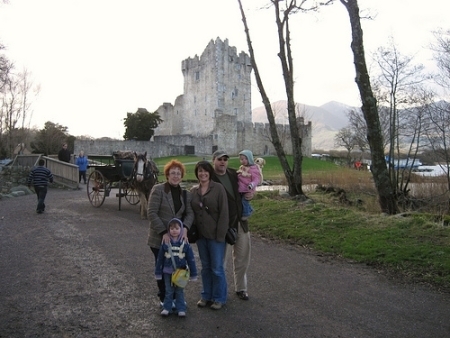 Ireland is the family’s favorite destination; they try to visit every two years. Thanks so much for the tips, Jody! 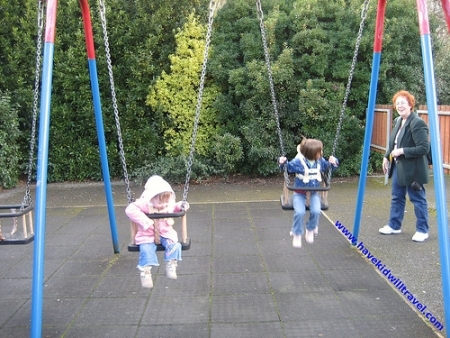 I have been to Ireland, but never with the kids. I would love to stay at an Irish Farmhouse or in one of those castles that doubles as a hotel. How cool would that be?! My daughter would love to pretend to be a princess for a night or two! I agree with these “Top 5 Tips”! Our family spent 2 weeks in Ireland and coincidentally followed all of your tips. It was a magical trip where learned about the Irish and the history of this beautiful place by being close to the people of the countryside with our car. The kids will forever remember the night we slept in a “haunted” castle! Your blog brought back great memories. Thanks. Which ‘haunted’ castle did you stay in? You make it sound so easy to travel with children, especially to another country. It makes me want to book my trip right NOW!!! Thanks for the tips Jody…..I have been to Ireland with friends but am going for the first time with my grandchildren and am expecting it to be a much different trip…. (no pub crawls this visit *L*) and so am researching ways to make if fun for the kids…thanks again! Nancy – Have a wonderful time on your trip to Ireland! Does anyone have recommendations for ACTIVE travel through Ireland with kids? Hi! This is very useful. I am travelling to Ireland with my husband and two kids (7 months and 2 years) in august! My husband says b&b’s are not good because you have to leave during the day, is that true? I can’t imagine this would be a good idea for little kids since they need to nap once to twice a day! Do you have any recommendations? I will be in need of a crib when we visit Ireland in March. Do many B&Bs provide them? I’d really hate to drag around my pack n play. Thanks! Hi Lorna – I would check directly with any B&Bs your considering. You could also do a Google search for a baby gear rental company in Ireland. Unfortunately, it looks like we don’t have any on our Baby Gear Rental Directory: https://travelmamas.com/shop/rent-baby-travel-gear/#europe Good luck and enjoy your Ireland travels! I would opt for renting a home for a week or two through HomeAway, TripAdvidir or AirBnB. There are probably many other apps as well. We are headed there with children and secured a home on the west coast for a week to explore and the a home in Northern Ireland for a week. I have seen many hosts who provide some of the things you mentioned. Dossie – Home rentals are great, but sometimes I just want the extra perks and customer service that come with a hotel stay! Im wondering about car seats when renting a car? Did you bring your own? Hi Mallory. You have a few options for car seats in Ireland. 1) Bring your own. This is what we opted to do when my girls were little as we used the car seats on the airplane. Not only is it safer than a lap child but it was also a known item in an unknown place- it helped them relax and sleep on the overnight flight. 2) Rent a car seat from the car rental company. Most offer this service and will help you put them in if needed. I hope that helps! 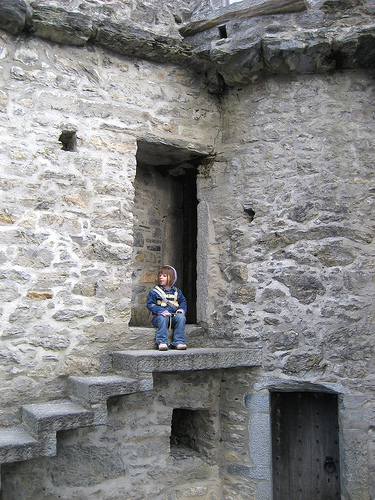 Ireland is a wonderful place to explore with kids!